A credit card is easy money. Right? Apply for one with a credit limit of S$2,000 and suddenly you have S$2,000 to spend on items you couldn’t otherwise afford with no strings attached. Or so it would appear. This is, until you realise you have no money in your chequing account to possibly make the necessary payments to cover your debt. Given only half of the millennials who were asked knew the interest rate charged by their cards, according to a survey conducted by Experian, what are the odds that you checked yours before applying? Considering it is the only way to build credit history before being able to purchase a house or a car, you would think people would be more careful with them, right? Would you be surprised if we told you that some people still aren’t careful in using their cards well? Well then. Now that you have a sense of some of the dangers associated with not using credit cards wisely, you probably ought to know the biggest problems associated with them and how to resolve them… quick! There is just too much information available on credit cards in the market. The problem isn’t really that there is way too much information – it’s that no one has the processing power to distil the information tied to hundreds of cards. The only way to tackle this problem is to do extensive research online, read product reviews, or use comparison tools to figure out the best option for you, given your monthly expenditures. Asking around could also help, as your friends or family might be highly satisfied with a product they are using and might recommend you get it too. Were you aware that ten years of 29% interest on $1,000 comes to $11,761. So if you opened a credit card account and only charged S$1,000 to it and left it at that, over ten years the interest alone would have amounted to S$11,761. To put that in perspective, say you bought a pair of limited edition Jordan’s this year for $1,000 at the age of 21. By the time you are 31, the interest you could have saved on that one purchase could have bought you a brand new car. The best way to tackle this problem is to do your due diligence and research the card’s annual interest rate before you even consider going anywhere near it. That, and sit down with a calculator to calculate how much you would owe in interest on a balance of $1,000 in five years. This is so that you can determine in concrete numerical terms whether the card’s benefits outweigh its costs. During one experiment, Drazen Prelec and Duncan Simester from MIT found that people were more willing to pay twice as much for basketball tickets if they used a credit card than if they paid with cash. The fact that credit cards allow you to spend up to a certain amount makes you think that money is in your account to spend. With cash, you are less willing to part with it because once it leaves your hands, it’s gone forever. This is more a psychological disconnect than anything else and a little bit of self-awareness is the answer. Spend within your means and, ideally, pay off your spends right away so that you don’t land up in debt. Studies show that more than a third of consumers choose one credit card over another one based on the introductory offers’ interest rates. Economists Haiyan Shui and Lawrence Ausubel from the University of Maryland observed people in one study overlook a card with a teaser rate of 7.9% for 12 months in favour of one with a rate of 4.9% (for six months). Both cards’ interest rates would jump to 16% after that introductory period. The decision to get the card with 4.9% interest would have made sense if you planned on paying off the balance within the 6 months. However, as it turns out, many didn’t, which resulted in them paying more in interest than if they had gone for the alternative card instead. The only solution to this problem is to thoroughly consider what each percentage charge for that card actually means for your wallet. Period. That’s right, doing a bit of math will help you here! Breaking it down into dollar values will save you from a very poor decision. That, and your future self will thank you when your credit score is well above average because your mathematics skills finally paid off. So you’ve racked up a heavy debt with all the car down payments and shoes you’ve been buying. Your debt is in the thousands, but your bank balance is dwindling by the hundreds every month after you pay off all your other bills. There is no way you can make any more than the minimum payments but you know it will take you forever to pay it all off that way. So, what do you do? You can get a balance transfer and move all your outstanding debt to a 0% interest rate line of credit and you get to make the monthly payments without paying any interest anymore – for a limited period of time. You should ensure you do not get to the upper limit on the 0% credit card that you are transferring your debt to, for this will adversely affect your credit score. The only catch with a balance transfer is that once the interest-free period expires in 6 months or a year (depending on your provider), a much higher rate of interest will be charged. So, make sure you have a solid plan and have put aside a budget to pay off all your outstanding debt within that window of time. If you got a card for its rewards program and are trying to decipher what 10 points to $1 means in terms of your rewards card, rest assured you are in good company with millions across the world being stumped by the same question. Card issuers almost rely on this fact to generate profits. To illustrate, if it takes you 150 points to get $1 of rewards, accumulating 48,000 points will give you an annual reward of $320. Subtract from this any annual fees (e.g. $60), and that will give you your net reward for that year in dollar value ($260). Since you now understand how the dollar value of reward points is calculated, there are less chances you will feel ‘misled’. Feel free to break down the values of promotional offers to figure out whether that card is optimising the benefits you could be receiving for every dollar you spend. Based on that breakdown and your monthly expenditure per category, you may compare cards and find the one that best suits your particular behavioural patterns. 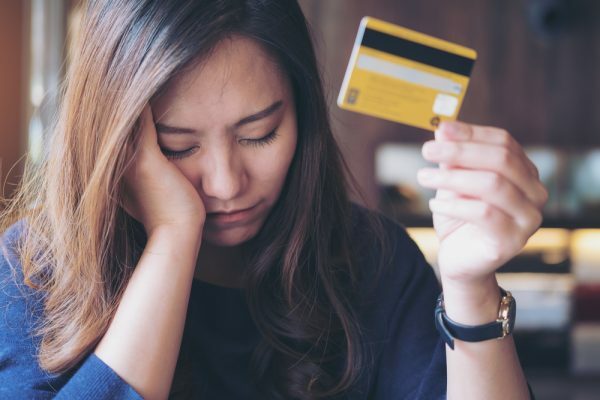 Although you may face problems with credit cards that range from their steep interest rates to seemingly misleading rewards programs, do not fret. Because for every problem there exists a solution, if you just look in the right place. Credit cards are a great tool to use if you are looking to enjoy life without going from paycheck to paycheck. If used responsibly. Just remember, calculators and math are in your forecast from now on… you’re welcome!